Debi has been entertaining us on television and radio for the past 25 years. Her original aim was to be an opera singer after winning a national scholarship at the age of 18. She sang professionally for a number of years, both in Britain and abroad, and found she enjoyed the banter with the audience as much as the singing! She was spotted by the Station Director of BBC Radio Merseyside, who offered her the afternoon show 2 – 5pm Monday to Friday. Her popularity increased by the month due to her unique “tell it as it is” style of presentation, and by the time she left to present on BBC 1 Television 5 years later, she had one of the largest audiences of any BBC local radio afternoon show in the country. During her time with BBC Radio, she sang and hosted shows for the “El Alamein Reunion” at the Winter Gardens in Blackpool with a 36 piece military band to an audience of over 2,000 veterans. She presented shows for BFBS (British Forces Broadcasting Service) in Belize, Central America, and also broadcast for the troops in Gibraltar. Debi went on to present “People Today”, the national morning show for BBC 1 television, for three years, which included her presenting the iconic “Pebble Mill at One” on a number of occasions. After having her daughter, she continued her career as a freelance broadcaster, working for Granada Television, Radio 5 Live, and Radio City Gold. She has interviewed a wide range of celebrities on live television and radio, from politicians to pop stars. In 2000, Debi was approached to head up the first all-British Shopping T.V. channel, “Shop!” It was a combination of Granada Television as the Production Company, and Littlewoods who were the suppliers. As main presenter, Debi quickly gained a reputation for humour mixed with honesty, which proved to be an ideal mix for this specialist niche. Her selling skills, approachability and sometimes “naughty” sense of humour gained her something of a cult following! Debi has been a presenter on Ideal World, QVC and The Jewellery Channel. And in 2011, Debi joined the team at the Holiday & Cruise Channel (Sky 256), to present the popular daytime chat show 'Cruising with the Stars', each day, Debi chats to a cruise ship entertainer, comedian, musician or cruise director about their lives cruising the world! Debi also presented series 1 & 2 of 'The Showcase' on the same channel, where artistes perform in front of agents, in the hope of gaining cruise contracts. In 2013, Debi joined the Pavers Shoes team, presenting daily with owner Debbie Paver on Pavers Shoes TV. 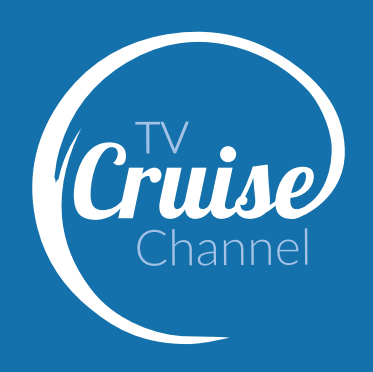 In 2016, Debi joined the team at TV Cruise Channel talking all things cruise, plus she had a daily radio show on Sandgrounder Radio which can be heard in north west England and North Wales. Debi also played a leading role in the British Film Industry award winning film, “Distant Voices, Still Lives”. She is an established Keynote speaker - her venues include The Dorchester Hotel in London, The Chester Grosvenor and The Liverpool Crowne Plaza. She is an accomplished and popular compère, and has hosted a wide variety of events at venues including the Liverpool O2 Arena, The Liverpool Philharmonic Hall, Manchester MEN Arena and the NEC Birmingham.